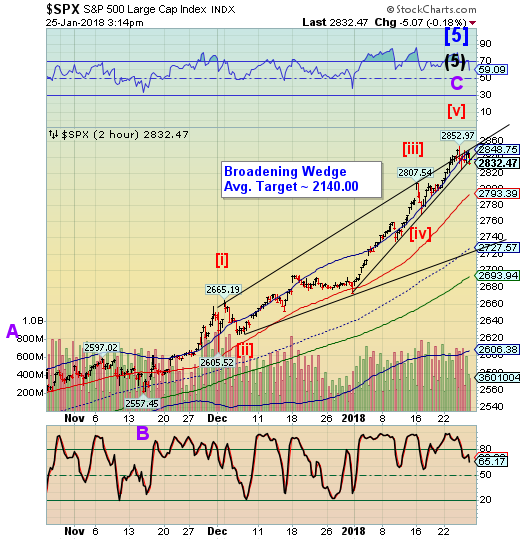 It appears that the Ending Diagonal trendline may be broken in the SPX at 2830.00. This is your initial aggressive sell signal. The VIX is on an aggressive sell and Hi-Lo is not. Use your discretion and do a partial short until we get confirmation with the VIX over 12.81 and the Hi-Lo beneath the trendline. 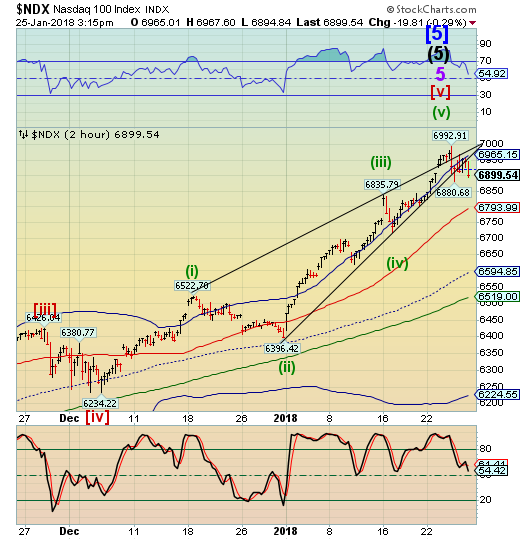 The NDX has already broken its trendline. Just to be safe, I would use a decline beneath 6880.00 to trigger a partial short position. We can fill the rest of the position when confirmation comes.